Bread is a staple in every culture. The Jews bake a variety of breads, depending on the occasion and especially on the holy day festival. 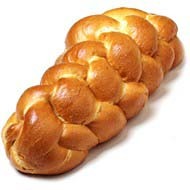 Challah containing eggs and honey is a braided bread. Ray and I have celebrated Jewish feasts with our kids, and I’ve tried my hand at the bread recipes. But I haven’t been able to get them downpat yet like the Jewish mamas. Oy. Matzoh is an unleavened, thin crispy bread containing white flour and water that is served only during Passover. Eaten with the charoset (apples, walnuts and honey), horseradish, and herbs, it is truly sweet to eat. The infamous Jewish bagel is a chewy yeast roll baked in the shape of a doughnut. Traditionally bakers boil the bagel just before baking to give the bread its chewy, golden crust. One of my favorite lines in the Meryl Streep movie Heartburn was at the wedding, when Rachel (Meryl Streep) was having serious doubts about marrying her fiance’ Mark and cried to her editor, Richard, about having to move to Washington, D.C., “You can’t even get a decent bagel in Washington, D.C.!” Apparently there are bagels and then there is the real Jewish thing. The French are most well known for the baguette, a long, thin bread made from lean dough and distinguishable by its length and crisp crust. Serve hot, buttered French bread with home-made, warm potato soup on a chilly night and you’ll leave the table with a deep contented sigh. Baguettes are usually served with pate or cheese. As part of a traditional continental breakfast, slices of the baguette are served with butter and jam, and dunked in bowls of coffee or hot chocolate. When Ray and I went on our 10th wedding anniversary and stopped in Paris, I discovered pain au chocolat, a favorite breakfast food and afternoon snack. Oh my gosh. Chocolate inside of that delicious bread! In many of our pictures from France, you can see me in line for more chocolate bread! Rye bread is made of rye and wheat flour, and has a dark color and strong taste. It’s high in fiber and most common in European countries such as Russia, Scandinavia, Germany, Finland, and the Baltic States. Pastrami on rye spread with hot mustard, thinly sliced Swiss cheese, and sourkraut – you will want seconds! Flatbreads are considered to be the oldest kinds of breads, made from water, flour, and salt. Grains used are wheat, barley, millet, corn, rye, and oats. 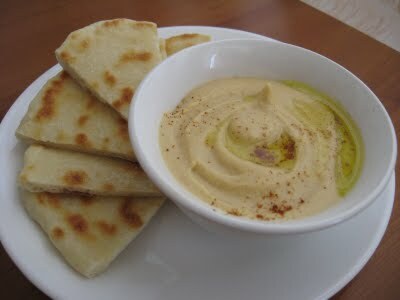 Pita bread is a common bread used in the Middle East. Spread some hummus, olives, onions, and fresh red tomatoes on pita – with or without meat – and you have a little bit of heaven on earth. American breads are usually medium sliced loaves and can be very unhealthy: white (with bleach), whole wheat, sourdough, and whole wheat with barley. One study shows the whole wheat and whole wheat with barley in the morning can be worse for us than the white. Many American breads contain chemicals, preservatives, and additives. A healthy alternative to American breads is Eden’s Touch Bread. 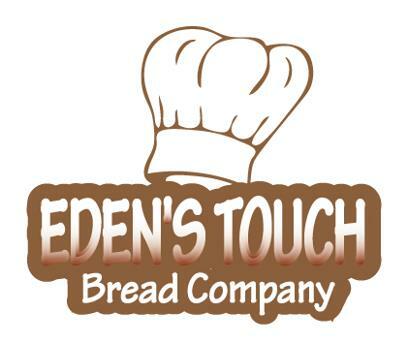 Eden’s Touch Bread Company is one of our Sponsors for the RELEASED! Women’s Conference on April 27, 2013. Marissa Gadsden is the owner and bakes about 14 orders a day, shipping out the next day. She’s also a mom, which means she usually doesn’t start kneading the dough until late at night. It’s not uncommon for her to go to bed at 3 a.m. and be back up at 8 a.m. to tend to her home and her daughter, Eden. The store is named after Eden. When you visit her shops, you pick up on the proud-mama aspect of the stores, and Eden’s photo is prominently displayed in the store’s logos. “She is a toddler, so anyone with any experience with a toddler knows that they touch everything,” Gadsden explains. Eden’s Touch Bread Company has unique choices for bread like bacon cheddar. Their banana walnut minis and cinnamon raisin minis look yummy, and they offer them gluten-free! Their menu has several Specialty Loaves that are baked fresh daily. They deliver party trays, personal loaves and gift baskets or ship boxes and packages ready to be served at any party or event and in your home. They ship nationally and internationally. Eden’s Touch Bread Company has three different locations: Forest Park, GA; Collingdale, PA; and Philadelphia, PA. You can also order online. Through word-of-mouth and social media, Marissa has taken her hobby-turned-business to the next level, enabling her customers across the country an easier way to order. She didn’t start out planning an online business or any business. Marissa is a former radio personality and originally just baked the breads for fun, as gifts for family and friends. Then one day a friend gave her some cash for some bread she dropped off, and ordered two more items. Marissa was surprised, and soon other family and friends began ordering specialty loaves, even outside Philadelphia where she lives. She delivers over the tri-state Philadelphia area, and has opened two stores since then on Etsy and Craft Café. You can read an article about Marissa’s recipe for success here. Are you a retailer? If you are interested in carrying their products in your retail store, you can call them at 267-908-LOAF or send them an email at EdensTouchBread@gmail.com. Want to be a Sponsor for the RELEASED! Women’s Conference? Contact Beth Jones at elizabethdjones@gmail.com. Want to attend this life-changing conference? We have 4 anointed speakers and a powerful worship leader coming from across the U.S. and Canada, a catered Italian lunch, great door prizes, fun, and more! Be freed by God’s love and transformed by His power at this amazing conference. Click here to register and save your spot. Seating limited to only 50 women! 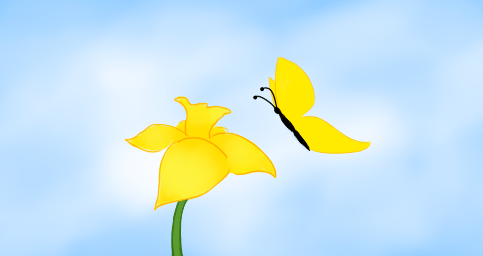 Only 5 more days to get the Early Bird Price of $35; after Feburary 23, the price goes up to $50. Bring a friend!